The animals need you! 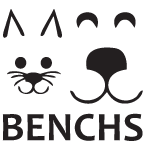 BENCHS does not receive funding from cities, United Way, or national humane organizations. We are entirely funded through memberships, donations, estate bequests, and fund-raising events. Our expenses for veterinary care, food, and supplies continue to increase dramatically. Thank you to area organizations for giving to the animals at BENCHS.